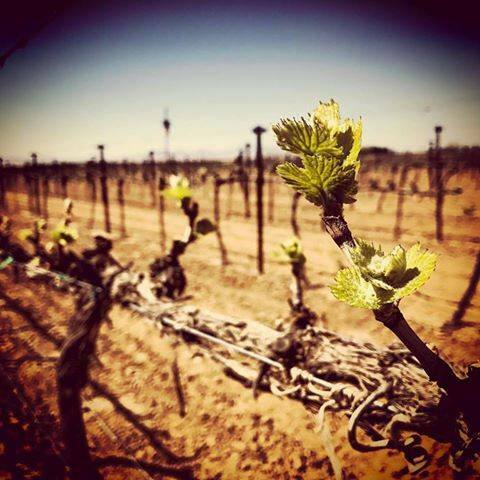 Spring is upon us here in the northern hemisphere, and with it a wonderful array of wines to enjoy on those long evenings. Along with the usual pink-hued suspects, however, there is a whole spectrum of spring-worthy wines out there, so sniff some flowers, put on some sandals, and enjoy the bounty of the new season. No category of wine gets typecast quite like Rosé. Often dismissed as playful, young-drinking, and mostly the province of the brunching Instagrammer, Rosé’s reputation is largely undeserved. As with any wine, the quality is directly proportional to the care used in making it, and many winemakers are starting to explore the potential of carefully farmed and meticulously produced Rosés. 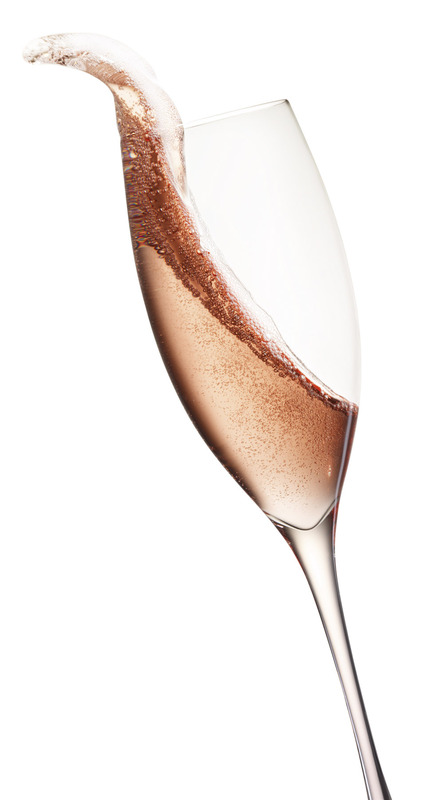 Generally speaking, a Rosé is made by processing red wine grapes with minimal skin contact before pressing, akin to the way white wines are traditionally made. The short maceration period is just enough to impart the pink hue that the internet fell in love with last year, but not long enough to extract much of the tannin structure or stout aromatics that red grapes are typically known for. In big-box factory wineries, hurried production and lack of careful farming often leads to the skin-deep sort of beauty that leaves many unsatisfied. But it doesn’t have to be this way. Katherine Cole, author of Rosé All Day, has been a tireless proponent of “serious” pink wine. She notes that the Burgundy tradition of producing Rosé with an eye toward quality and ageablity has slowly made its mark on the wine world, and producers all around the globe are taking note. This will eventually lead to a higher standard of quality, and pave the way for nuanced, age-worthy Rosés to be taken seriously. 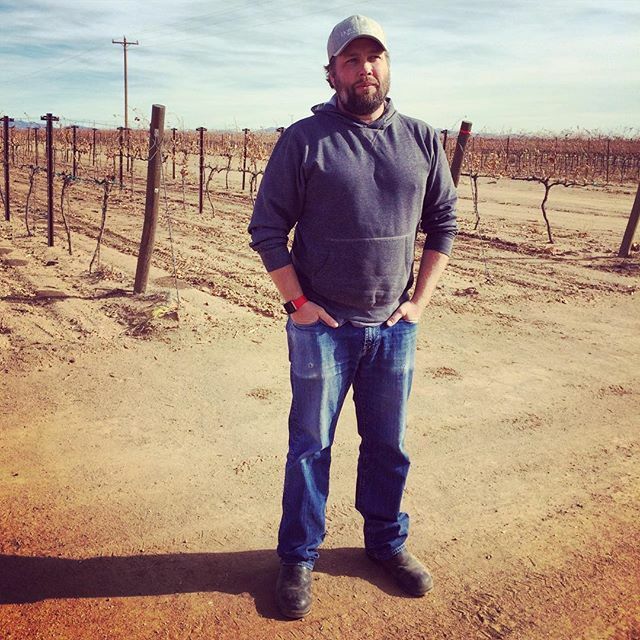 Todd and Kelly Bostock, the owners of Dos Cabezas Wineworks in Arizona, are no strangers to bucking convention, so it’s no surprise that they have developed a formidable Rosé program at their estate. Years of experimentation, missteps, and setbacks led the Bostocks to their current formula of carefully farmed, expertly fermented, and sometimes unconventionally packaged blend of Monastrell, Garnacha, and Syrah. 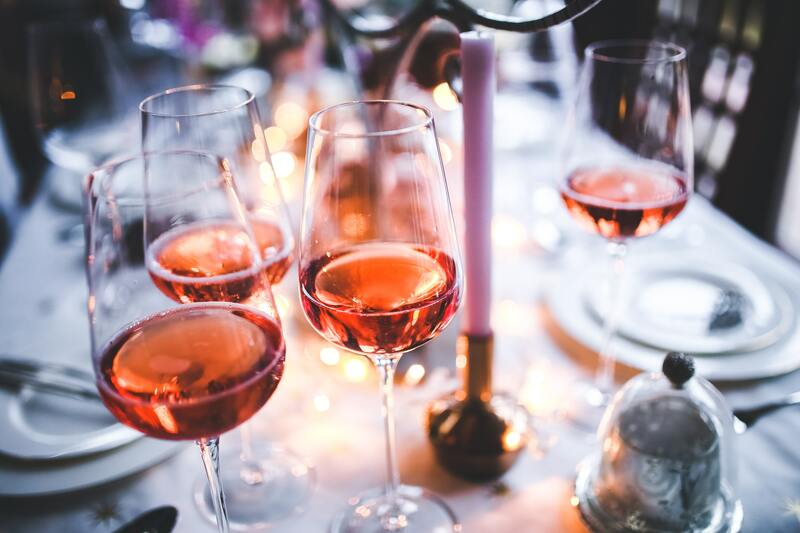 The key to a superior Rosé, one which will provide more than a pretty pink face, is the same as producing any other quality wine: care in the vineyard and cellar, and tailoring the winemaking to the desired final product. For Dos Cabezas’ Pink, this means meticulous hand harvesting and sorting, a light touch in the cellar, and lees aging. It all comes together in a stunningly complex mix of aromas and flavors that can be enjoyed year-round. How can you improve upon well-made, elegant Rosé? Make it bubbly. Drawing on generations of winemaking tradition in Austria’s Kremstal, the Malat family has been instrumental in elevating the quality and consistency of Austrian sparkling wine, aka Sekt. In the 1970’s the Malat winery, under Gerald Malat, was the first to produce a true estate-grown-and-bottled Sekt, and in doing so they paved the way for countless producers to follow suit, and eventually for the inclusion in Austrian wine law of quality and origin designations for sparkling wine. The production of Sekt is tightly controlled under Austrian wine law, with a newly established three-tiered quality system based on vineyard practices, cellar methods, lees aging, and origin. The top two tiers, Reserve and Grosse Reserve, require carbonation via méthode traditionelle, in which the wine undergoes a second fermentation in the bottle, capturing the resulting CO2. The implementation of the quality standards will be complete this autumn when the Grosse Reserve designation will be officially granted to a select few high-quality Sekte. Following in his father’s footsteps, Michael Malat now runs the family winery, and when it comes to sparkling wine, he has some big shoes to fill. Fortunately, he is a supremely talented vintner in his own right, as evidenced by his Brut Rosé, and Michael takes the same care in crafting this Rosé as he does with all his wines. Starting with careful selection of vineyard sites the grapes are harvested and sorted by hand, whole-cluster pressed, and aged on the lees for a full three years. Labeled “Nature” for the moment, Malat’s Brut Rosé will certainly garner the coveted Grosse Reserve designation when it is implemented later this year. What’s the old line…A Rosé by any other name would smell (and taste) as sweet. Instead of the Zweigelt normally used in Austrian Rosé, Michael breaks from tradition and crafts his Brut Rosé from 100% Pinot Noir. Zweigelt-based Rosé is typically dominated by red fruit notes like cherry and raspberry, while a Rosé made from Pinot grapes tends to show more earthy notes, precise minerality, and excellent balance. While sparkling Rosé practically screams “springtime,” it also pairs well with a variety of white meats and fish; don’t underestimate this bubbly’s potential at the dinner table throughout the year. Let’s face it: you came here for the Rosé. It’s spring, after all, and we’re all looking forward to sipping on something that’s refreshing and easygoing. Austrian Rosé, typically made from Zweigelt, is your friend here. 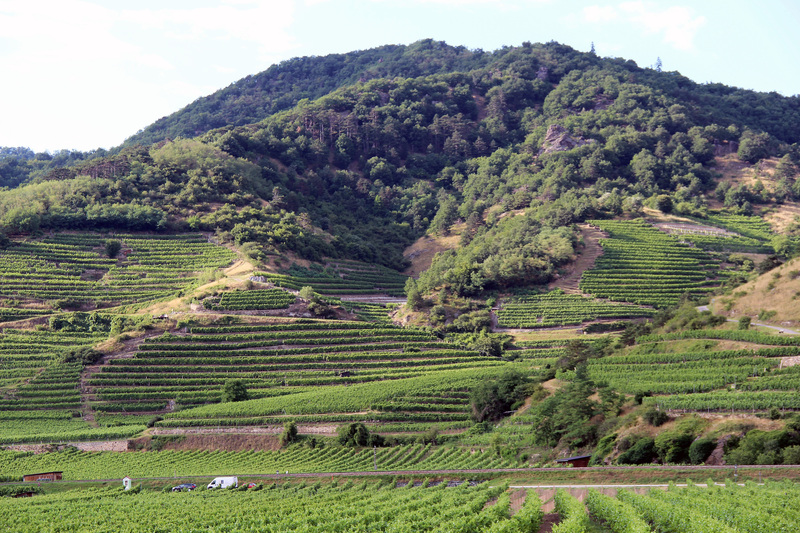 Zweigelt, which is a cross between Blaufränkisch and St. Laurent, is Austria’s most-planted red grape. Created by Dr. Fritz Zweigelt in 1922, the eponymous variety quickly became popular with Austrian vintners due to its consistent early ripening, and resistance to frost and disease. While its high yields and fruity character make for an innocuous, young-drinking red, these qualities make it ideally suited for Rosé. 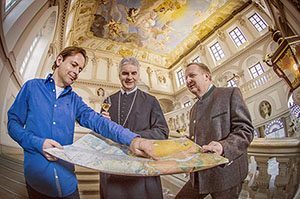 In the shadow of the famous Göttweig Abbey in Furth, Stift Göttweig has been producing Messwein, or altar wine, for centuries. Produced only with the permission of the bishop, and in accordance with the reinheitsgebot, the church’s purity law, Stift Göttweig’s Rosé Messwein blends the easy-drinking character of Zweigelt with the more earthy Pinot Noir to create an extremely well-balanced Rosé. Walking a fine line between fruit and acidity, this Rosé is equally at home with food or all by itself. With the advent of readily available, high-quality Rosé, it could be easy to overlook that “other” color of wine. Macerated white wine, sometimes referred to as “orange” wine, is basically the inverse of Rosé. Fermenting white wine grapes on the skins like a red wine allows for the extraction of tannins and aromatics normally lost in the usual white wine vinification, giving these wines substantial structure and backbone without sacrificing the character of the grape. These macerated wines bridge the gap between red and white the same way Rosé does, but from the opposite direction. Speaking of going in a different direction, Peter Veyder-Malberg has made a career of doing just that. Uncompromising in his approach to absolute quality, Peter draws upon decades of viticultural expertise to produce some of the finest wines in the famed Wachau region of Austria. His prior experience in making red wine prompted him to experiment with his home country’s beloved Grüner Veltliner. Peter explains, “I always noticed lots of aroma in the pomace of the pressed Grüner Veltliner, and these fragrant skins always ended up on the compost. I often had the feeling that we lose lots of potential there, so why not ferment Grüner like red grapes? Just because Grüner is known for its spiciness and fruity character does not mean it can’t be so much more.” The experiment was a success, and Grüner Veltliner Alter.Native was born. Fermented on the skins for 17-25 days, Alter.Native is a precise, creative take on Grüner, and would be right at home accompanying a fresh spring meal. Spring is nature’s reboot, the planetary equivalent of “turning it off and back on again.” Every year, the seasonal awakening fuels new growth, new ideas, and imparts us with a new lease on life. The emergence from winter’s slumber infuses us with hope, and urges us to change too. This spring, step out of the comfort zone and widen your perceptions about these often pigeonholed styles of wine.